It’s the piste and snow groomers parade on Bansko’s official opening day, 15th December 2018. 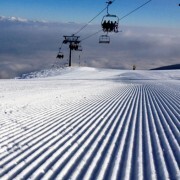 The story about corduroy are these giant machines. And they’re quite a sight; I’ve never seen so many all together. Click play below. The opening day is the usual fireworks and the ski down the lower quarter of the Tomba black run. It’s also about someone winning an Audi A3 by digging in the snow. We’re full of hope for plenty of snow and loads of good memories. 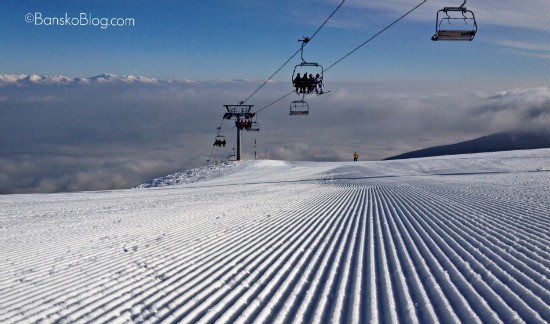 This winter season is the year where I recommend you try and have two shorter trips to Bansko. 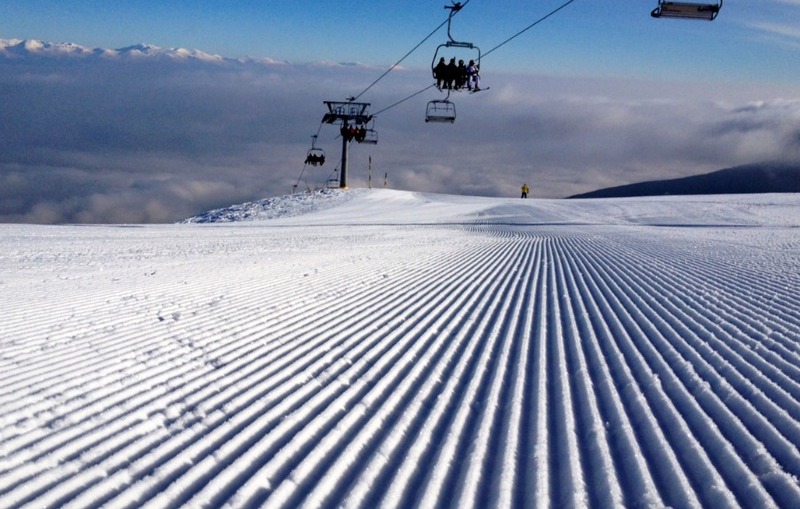 By doing so your skiing / snowboarding can improve at a faster pace. It also gives something for your to look forward to if you live in the gloomier Northern climes of short days and long nights. I say this as someone who knows exactly how gloomy it gets and how much I used to look forward to my annual min January ski trip. I recommend you second trip be in March and early April. The days lengthen, the flights are cheaper and the snow ❄️ usually obliges. But it’s also a time when the party is good; February’s families give way to singles and groups of friends. This mix ensures a packed atmosphere in the many bars and restaurants.